Manchester City had everything to bring a good result of the new stadium of Tottenham, but the failed penalty, by Aguero did even reverse the result, ending the victory by smiling at the home team. Slim 1-0 advantage, but Spurs have the big advantage of not conceding goals at home. 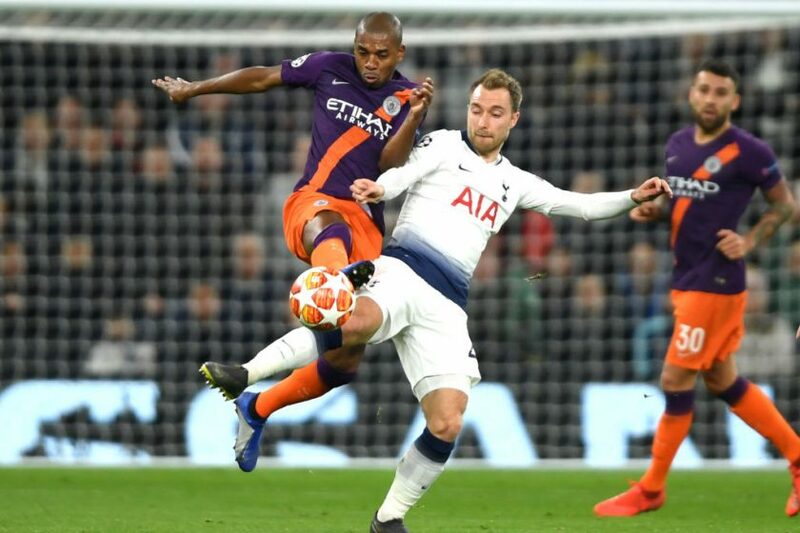 Manchester City have the power to reverse this disadvantage, but the challenge is not to suffer any goal from Tottenham. This is the favorite competition of citizens, a trophy that they have already sought to achieve for some years. The qualitative difference for the supurs is still significant, and the factor of Tottenham’s new stadium, and especially the new pitch, could have contributed a lot to the defeat of the Pep Guardiola team. Playing now at Etihad Stadium, citizens are favorites to win, and even move to the semi-finals. A game where Tottenham will most likely need to score if they want to go on to the next round. In the Premier League, the citizens are in 2nd place, with 83 points and the Spurs are in 3rd place, but with a punctual difference of 16 points. Manchester City have aspirations to win this competition, and despite being the Premier League leadership, it will be in this competition that citizens bet everything. Just a slip in the home games this season in the league champions. It was in the first game, with Lyon (1-2). Then came the best Manchester City (6-0) to Shakhtar, (2-1) to Hoffenheim and (7-0) to Schalke 04. Despite the defeat in the first match, Manchester City have all the conditions to turn the draw. The form he has presented is very good, he plays at home, and is a much more balanced team, between sectors, compared to Tottenham. The handicap (-1) is very short, although it was the bet with the highest degree of protection. Entering the handicap (-1.5) is always tricky at this level, since in a tie, and with top teams this is a very demanding bet, and Manchester City have to be extra careful not to concede goals. Even with the over 2.5 goals so short, the option is to enter the over 2 goals of Manchester City, which in the limit, if the team of Pep Guardiola score only 2 goals, the bet is returned. Manchester City over 2 goals.